Only a 4-minute walk from JR Kyoto station. 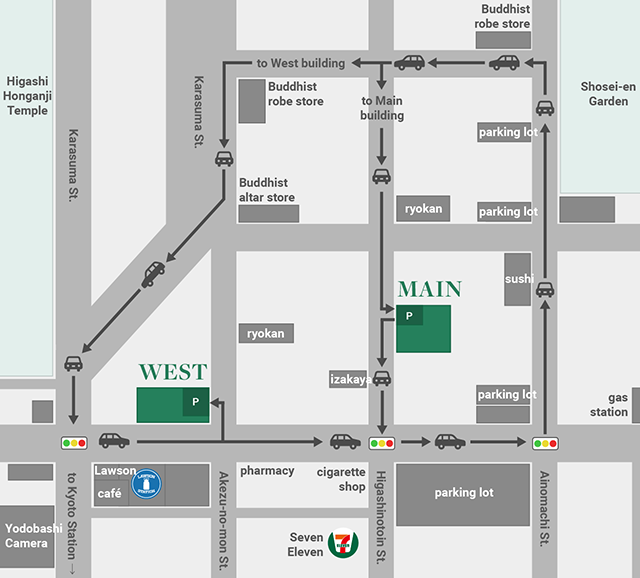 Convenient location for sightseeing & shopping. 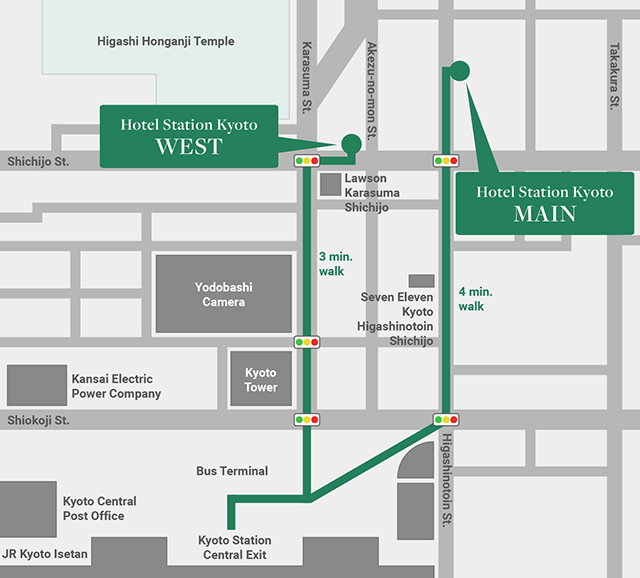 From the central exit of JR Kyoto Station,walk along Higashinotoin st. and after two traffic lights, walk another 80m as shown on the map. The hotel is the large, white buliding near the northwest corner of this intersection. You will be able to see the sign on the roof of the hotel building. About 15-minute drive from the Kyoto-Minami I.C. on the Meishin Expressway.